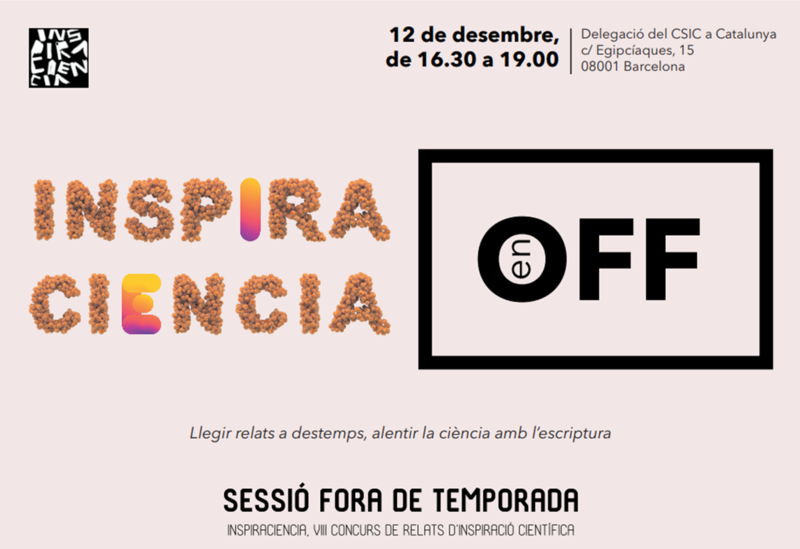 On Wednesday 12 December, Inspiraciencia organizes an OFF session in Barcelona. 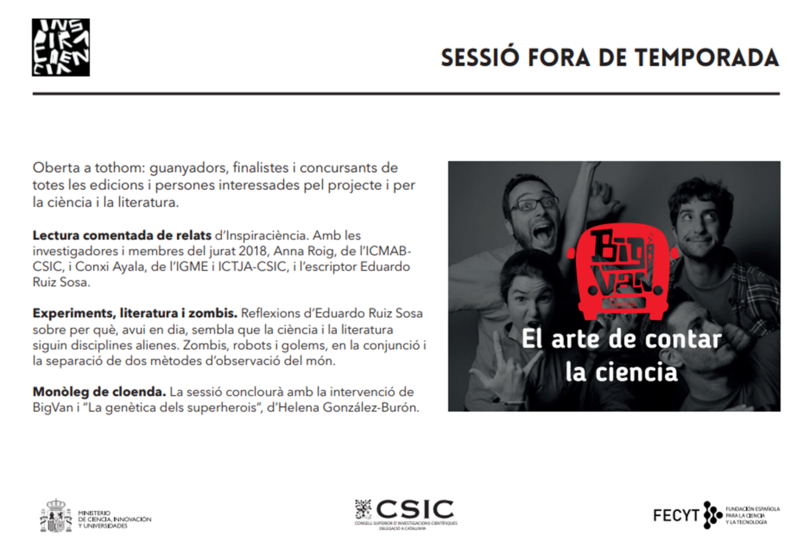 Anna Roig, from ICMAB, and member of the jury of the past Inspiraciencia edition, will take part in this event, which will start with a commented reading of some of the short texts presented in the Inspiraciencia contest. Following these first reading, Eduardo Ruiz Sosa will give a lecture on the process of writing, and the BigVan monologues will finish the event. The event will start at 4:30 pm and will finish at 7 pm. The venue is the CSIC Delegation in Catalonia (Egipciaques 15, Barcelona). Soledad Roig-Sanchez, Erik Jungstedt, Irene Anton-Sales, David C. Malaspina, Jordi Faraudo, Lars A. Berglund, Anna Laromaine and Anna Roig*. Nanoscale Horiz., 2019, Advance Article. Tina Tronser, Anna Laromaine, Anna Roig, and Pavel A. Levkin*. ACS Appl. Mater. Interfaces, 2018, 10 (19), pp 16260–16269.